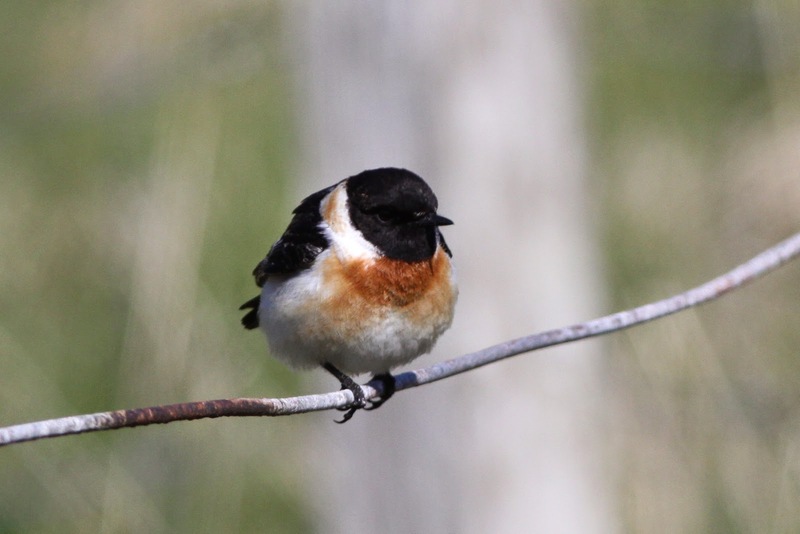 The Caspian Stonechat seems very settled, although presumably at some point it will move on. The night of the 2nd/3rd saw some grass frosts, which may have encouraged the bunting to move, but this hardy little critter seemed unphased. Still much of a muchness in many respects on the bird front, with the important exception of the Cretzschmar’s Bunting, which was last seen on Friday evening and therefore disappointed potential weekend twitchers. The Caspian Stonechat remained faithful to the area around Lower Leogh throughout and other lingerers included the Havens Short-toed Lark, Wryneck (2 on 3rd and a single on 4th-5th), the Waxwing at Stackhoull and the very long-staying Kumlien’s Gull. 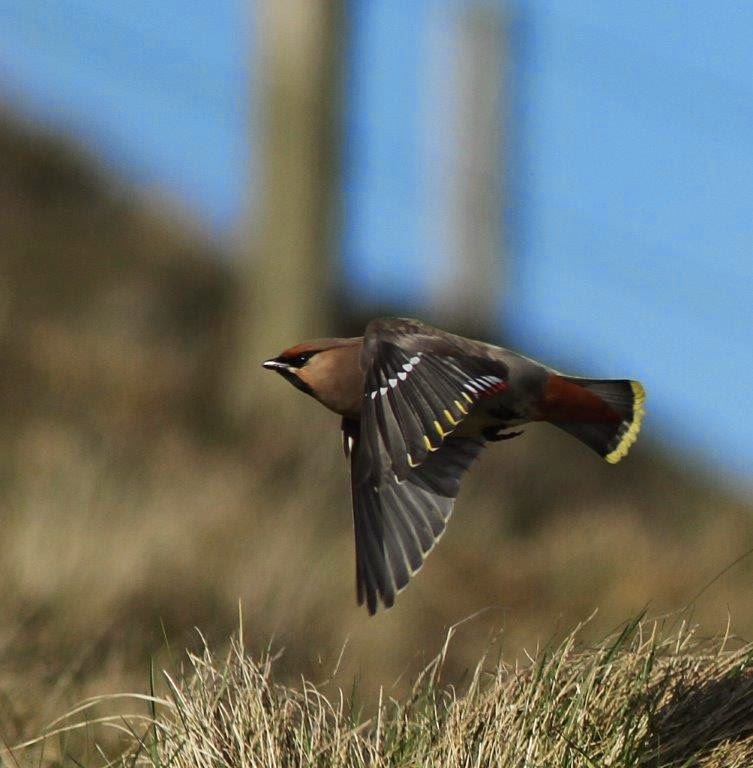 The Waxwing at Stackhoull has been getting handouts from the shop, which will hopefully help it to build up its strength for the last leg of its journey. (photo: Deryk Shaw). The 3rd was a calm and gloriously sunny day that enabled us to get a Tystie and Fair Isle Wren survey done (with good news on both counts) and the pleasant weather encouraged some ‘vis mig’, with counts of birds passing over including singles of Short-eared Owl and Raven, 3 Rook, 2 Jackdaw, 21 Carrion Crow, 2 Hooded Crow (and a hybrid), 32 Black-headed and 36 Common Gulls (although the latter count also included some resident birds) and 45 Swallow. There were 25 singing Fair Isle Wrens logged on the survey, although the actual number of territories will be somewhat higher when the year's sightings are collated. It appears that they have had a good winter, with the strong winds not having a negative impact on numbers. 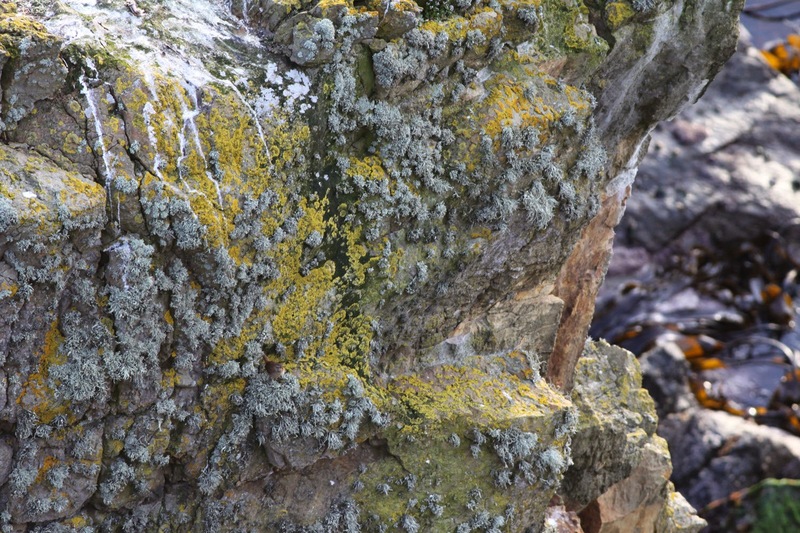 The Tystie count of 171 was 25 fewer than the count in April (as is usually the case with counts later in the spring), but still a positive sign that the population is continuing to build after a crash in numbers in 1998. There were very few new migrants in on 3rd, although the highlights included a Subalpine Warbler (which was still present to 5th at least) trapped and ringed by Deryk (and continuing the good run for the Burkle garden list! ), Wood Warbler (the first of the year), Grasshopper Warbler (trapped at the Plantation), 3 Tree Sparrow, Black Redstart and a Goldcrest. The calm weather also saw a Minke Whale sighted from the Good Shepherd; the first sighting this year in Fair Isle waters. 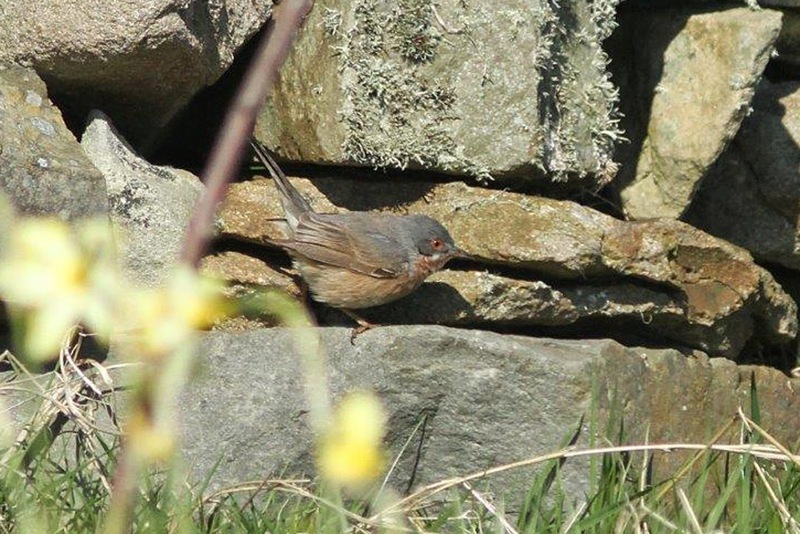 The Subalpine Warbler at Burkle (picture Deryk Shaw). 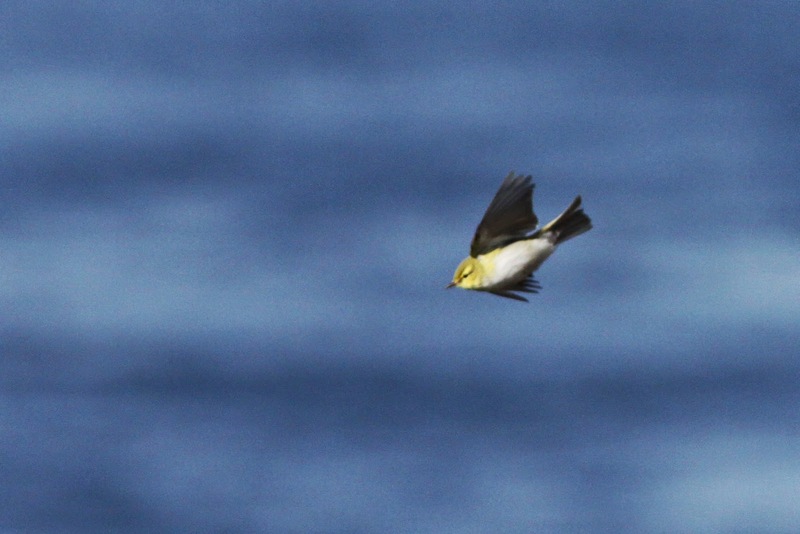 The Wood Warbler performing flycatching sorties from Hoini in the sunshine - very pleasant. Much poorer weather on 4th saw birding become difficult, although as well as the birds already mentioned there was a (re? )appearance of a Moorhen and the first Sanderling of the year. The following day the Sanderling count had doubled and other waders included increases in Purple Sandpiper (to 17) and Dunlin (to 19, including a singing bird over the Hill Dyke), whilst two Black-tailed Godwits were present throughout. 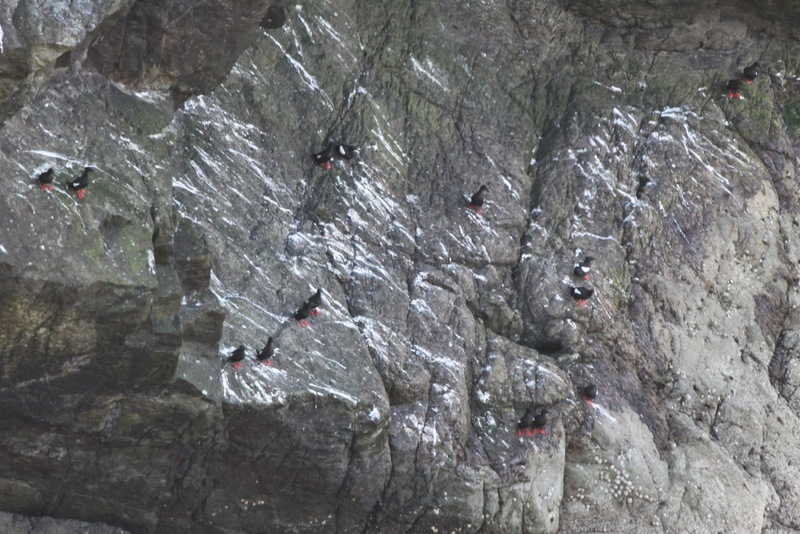 The 5th also saw a Long-tailed Duck (the first for several weeks), an increase in Arctic Skuas to 17, and a slight increase in warblers that brought a Sedge Warbler, as well as a second Goldfinch to join the lingering bird, a Black Redstart and a smart male Snow Bunting to Buness (whilst 15 were still at North Naaversgill). A late spring record of male Snow Bunting on Buness seems to have become a bit of an annual feature; it’s interesting to speculate whether the same bird may have been involved in the last few years. There were small numbers of Mealy Redpolls throughout, along with various other lingering migrants and a few sightings of flava Wagtails that included a bird on 5th (and probably seen on 3rd) which was perhaps best labelled as a ‘possible Grey-headed x Blue-headed hybrid’. 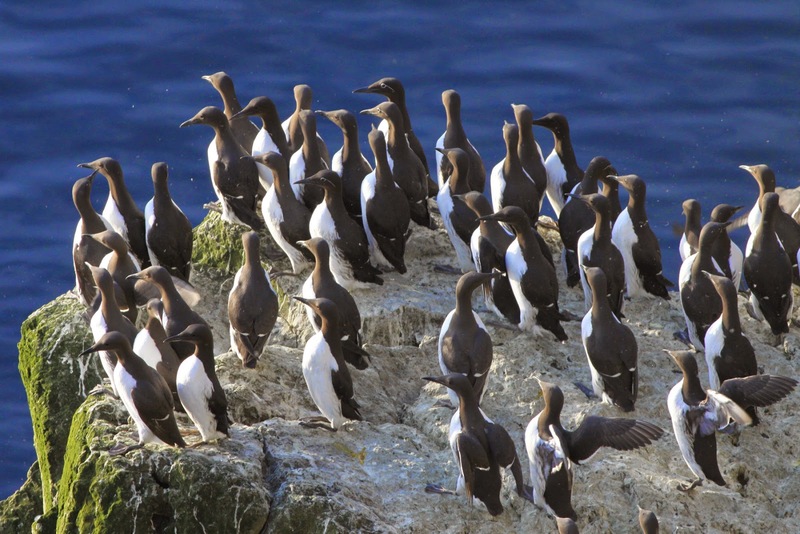 Guillemots are in on the cliffs more regularly now, although the breeding season stil hangs in the balance.